An excellent quality fully-built 8th Gen quiet PC, using best value high performance components. This high-specification machine doesn't compromise on performance and comes with a two-year fully inclusive warranty. Achieving absolute PC silence is not the cheapest way of buying a PC as Nofan's incredible IcePipe cooler demonstrates. 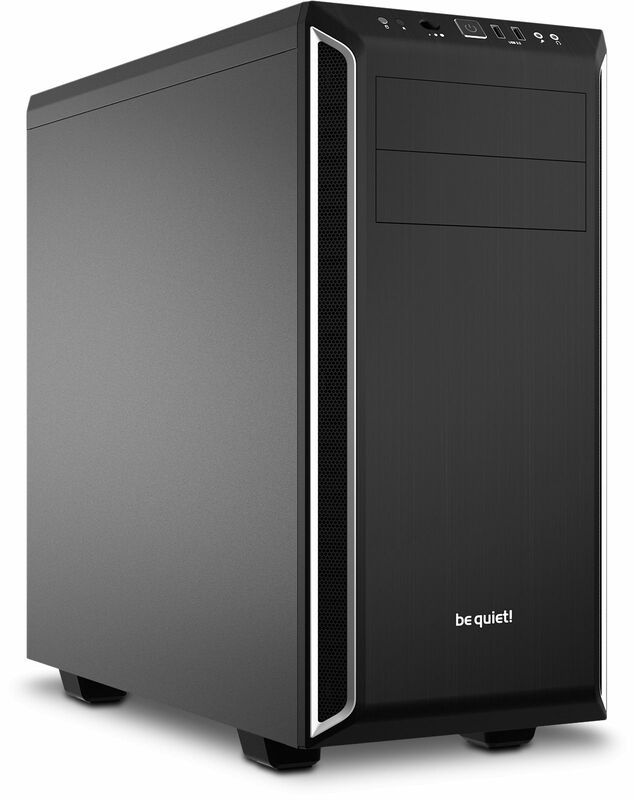 However, for customers who are prepared to accept a very small amount of running noise, we are delighted to offer the Serenity 8 which is a fully-built PC system, ready to go. It is designed with performance and quietness in mind, using components which we feel offer the best balance of speed, quietness and value. The machine can be configured to your exact specification and offers, as you would expect, incredibly quiet operation which is barely audible. The Serenity 8 Office has a choice of two motherboards. The reason for this is to give greater options when RAIDING drives. The ASUS H370-A is RAID compatible but it only supports RAID for SATA devices, it does not support RAID for two M.2 drives. The ASUS Z390-A motherboard on the other hand does support RAID for SATA devices and M.2 drives. Therefore if you would like to RAID M.2 drives and maybe SATA devices then opt for the Z390 motherboard, if not opt for the cheaper H370 motherboard. Gelid Phantom Dual Tower CPU Cooler ? Scythe Ninja 5 Dual Fan High Performance Quiet CPU Cooler ? Having built all my own machines over the past 20yrs+ I decided to buy a fully built system. I wanted something with a good bit of umph and couldn't be bothered to spec it and build it this time. This machine has met my needs, in fact, so far, it has far exceeded them. The build standard is very good, the service received excellent (as it always is with Quiet PC) and at this time I could not be happier. I did have to rebuild the OS because I wanted Windows configured to put all user data off the SSD boot drive and onto the larger data HDD, this isn't hard to do and it would have been good if it had been an option when configuring the machine.